Mateo pulled his phone back out of his pocket. “I should be able to track her.” But he couldn’t. The phone had no idea where Leona was. “I’m sure Reaver has some kind of signal jammer,” Gilbert suggested. Mateo sighed, trying simultaneously to concentrate, and to not hyperventilate. “I’m going to kill you,” Mateo lied. “I look forward to seeing you try,” Reaver lied. “What are we doing?” Gilbert asked after Mateo hung up the phone. They spent the next several hours walking across the snow, stopping more often than they wanted to, but less often than they probably should have. Despite climate change, and advances in nanofibers, the trek was extremely difficult. They removed their clothing to find their extremities to be discolored and numb. The aircraft warmed them up quickly as it took them along a preprogrammed route. Gilbert took a sip of his bourbon. “Give or take, that’s what we’re told. Here’s to the future,” he said, lifting his glass half-heartedly. The two unlikely friends spoke a little bit over the course of the rest of the trip, but not about anything so deep. The plane automatically landed itself at Horace Reaver’s compound in the middle of nowhere Queensland, Australia. The air was almost hot enough to cook them right there when they stepped out, a dramatic shift from bitter Antarctica. Armed guards escorted them from the landing pad and into a cell. After Reaver left, Mateo took out his rosary and prayed over Gilbert’s body. When he returned to the timestream in 2052, the body was still in the same place. It had decomposed quite a bit in all this heat. 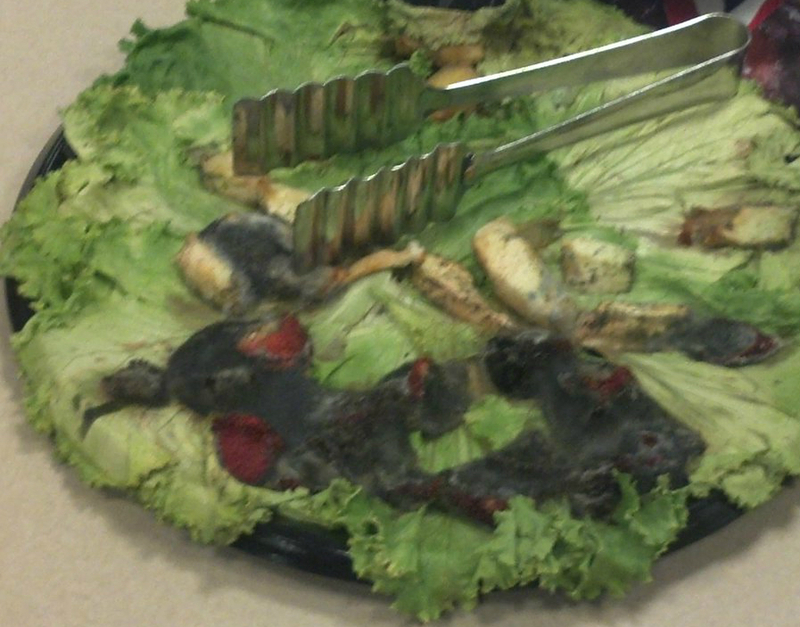 What was left of the platter of food was still there as well, rotten and disgusting. Thank God he had rediscovered his faith in time. Otherwise, he would have seriously considered forgoing the special prison cube, and just killing Reaver. It was time to end this.